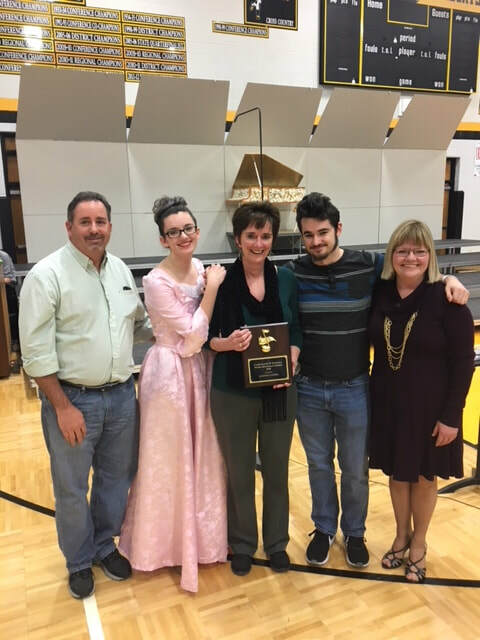 Cassville Schools recently presented the Music Advocacy Award to Jeanne Lambel at the Music in Our Schools concert. Lambel is pictured above with her award, her family and choir director Mary Richmiller. From left to right: Andy Lambel, Lisa Lambel, Jeanne Lambel, Allen Lambel and Mary Richmiller.